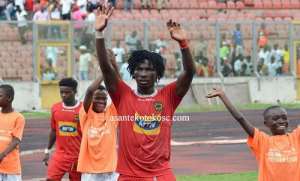 South African giants Orlando Pirates have contacted Asante Kotoko SC and expressed their interest in signing Songné Yacouba. According to reports, the PSL outfit have informed the Porcupine Warriors of their plans to sign the Burkinabe international in the next transfer window. The Ghana Premier League side SC are yet to respond to Orlando Pirates about the price for the 27-year-old but it is believed the club will do so in the next days.